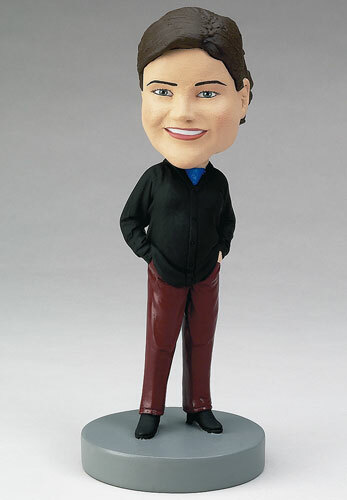 This bobblehead with a larger-than-average body can be customized for a special person in your life. Change her outfit to reflect your friend or loved one in real life. Whether it's a joke for a coworker or a silly way to decorate your own office, a custom bobblehead will be a great conversation starter!